(HONGSEONG=Yonhap News) Chungnam Province will spend KRW 100 billion to creat 50,000 jobs for the youth by 2021. The Province had a briefing session, attended by Nam Gung-yeong, Vice Governor, officials and experts, for the research service report on establishment of job creation for the youth. Gongju National University and Chungnam Employment Network, undertaking research and service, proposed five policy directions to create 500,000 jobs, including revitalization of start-ups, strengthening innovative competitiveness, Chungnam-style social economy, expansion of employment services and improvement of employment rate through regional network. The projects will include establishment of social media marketing start-up on attacting overseas tourists and establishment of incubating center for young start-ups in Chungnam. 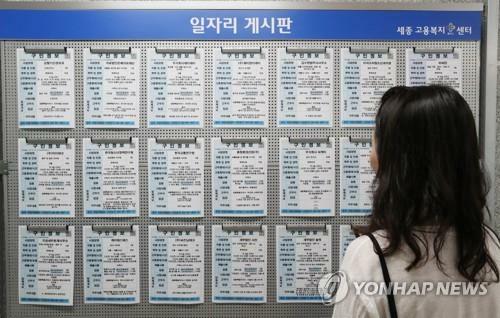 Moreover, the Province plans to spend KRW 100.9 billion for 36 projects over the next three years such as supporting welfare card for the youth in Chungnam. "The opinions collected from the briefings will be reflected to the plan for job creation," said Mr. Nam, adding, "We will make efforts to solve youth unemployment issue that accompanies other social issues like low marriage and birth rate."